What is Nugenix Prostate Support? 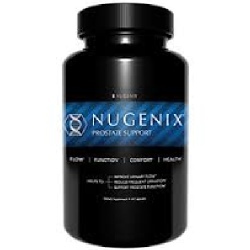 Nugenix Prostate Support is a dietary supplement for men. The purpose of this supplement is to ease some of the symptoms that go along with an enlarged prostate (frequent urination, pelvic discomfort/pain, etc.). Nugenix Prostate Support is also a product that takes into account the long term health of the prostate, promoting healthy function and possibly preventing future inflammation. All that being said, Nugenix Prostate Support is a dietary supplement. It comes in pill form and should be ingested through the mouth. It would also appear that this product may be of use if you are already experiencing issues with your prostate or if you are not yet experiencing any problems but want to prevent any in the future. In this review, we will determine what, if anything, sets this product apart from other prostate health supplements. Who is the Manufacturer of Nugenix Prostate Support? Nugenix Prostate Support is produced by, you guessed it, the brand Nugenix which falls under the umbrella of the parent corporation Adaptive Health LLC. Nugenix has a long history of quality supplements and their products are sold at some of the most established supplement and vitamin retailers. This particular product is claimed to be comprised of powerful ingredients that will stop a number of enlarged prostate symptoms. It was designed for the overall health of the male prostate. How Does Nugenix Prostate Support Work? Nugenix Prostate Support works by acting upon your prostate with certain vitamins, minerals, and botanical extract. The purpose is to regulate urinary flow and manage prostate swelling. 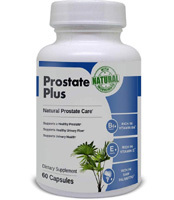 This product was also designed to support the normal function of the prostate, keeping it healthy as you age. As such, this product works as a dietary supplement that should be taken with regular frequency. Nugenix Prostate Support Ingredients – Are they Safe & Effective? Phytopin – This ingredient is essential phytosterol pine extract which contains plant sterols and beta sitosterols. Bladderwrack Extract – Bladderwrack is a type of brown algae and it may reduce irritation and inflammation in certain tissues of the body. Zinc – Zinc may be able to reduce cancer signallers and prevent inflammation of the prostate. Saw Palmetto Extract – Saw palmetto is commonly used to help treat benign prostate hyperplasia and improve urinary tract health. Selenium – Selenium deficiency has been observed in men with serious prostate problems and may be important to maintaining a healthy prostate gland. Vitamin E – This vitamin may play a role in preventing serious prostate problems. Vitamin D – Vitamin D may be able to reduce the pain and pelvic discomfort that comes with an enlarged prostate and help to relieve benign prostate hyperplasia. What are the Advantages of Nugenix Prostate Support? One of the important advantages of this product is that it may help to normalize urinary flow. This product may also be useful in treating benign prostatic hyperplasia along with any meds you may be taking. Nugenix Prostate Support contains natural ingredients. For those suffering from enlarged prostate, this product may reduce the pain and pelvic discomfort associated with this condition. What are the Disadvantages of Nugenix Prostate Support? The selenium in this product may increase the risk of certain prostate issues. As of today, there is little evidence that supports the proposal that zinc plays a role in preventing prostate problems. This product contains 133% of the recommended daily intake of vitamin E and vitamin E overdose has been associated with blurred vision, headaches, nausea, and diarrhea. Nugenix Prostate Support contains gelatin which may be sourced from animals and therefore may not be suitable for vegetarians. How Should You take Nugenix Prostate Support? While we are not given specific dosage directions, we are told that a serving size is two capsules so it stands to reason that you are to take 2 capsules daily. How Much Does Nugenix Prostate Support Cost? There are sixty capsules which is roughly thirty servings in each bottle of Nugenix Prostate Support and a single bottle will cost $34.99. What is Nugenix Prostate Support’s Return Policy? The return policy for auto-ship subscribers states that you can return a product for any reason within 30 days for a refund. For standard purchases, the bottle must be unopened and undamaged for a refund. Does Nugenix Prostate Support Offer a Free Trial? There is no free trial being offered by Adaptive Health LLC for Nugenix Prostate Support. This may change in the future so be sure to check back with us. This product was designed for overall prostate health, to reiterate. This means that the potential benefits of this product are that it may reduce the need to constantly urinate, it may help manage the swelling of the prostate gland, and it may also be able relieve some pelvic pain associated with an enlarged prostate. All of the ingredients in Nugenix Prostate Support are also natural. What the consumer should remember however, is that this product contains a lot of Vitamin E so they need to be careful not to overdose. There is also little evidence linking zinc to the prevention of serious prostate problems. Selenium may also increase the risk of certain prostate issues and this product contains gelatin which may have been sourced from animals. All in all we recommend comparing this prostate health supplement closely to similar ones before making a purchase.